Quick, send Tim Cook a thank you note! Samsung is expecting to rake in record operating profits for the three months ending in September — and it owes Apple a debt of gratitude for helping. The South Korean tech giant said on Friday that it’s expecting to pull in $15.6 billion in operating profits for the most recent quarter. This would be a jump of more than 20 percent compared to the same quarter in 2017, and Samsung’s highest ever quarterly earnings. They should send Tim Cook a bottle of champagne to thank him! While the company hasn’t yet broken down the finances behind this monster quarter, Daiwa Capital Markets analyst SK Kim claims that Samsung’s work on the new iPhones has been a major profit driver. Samsung is one of the OLED manufacturers for the new iPhone XS series. 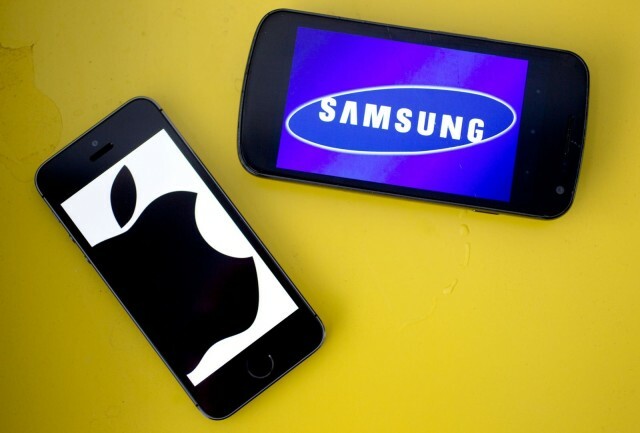 Business from Apple reportedly accounts for 25 to 30 percent of sales in Samsung’s displays division, which makes up a sizable 10 percent piece of Samsung’s overall business. The company’s smartphone division, on the other hand, is expected to prove a disappointment for Q3. During the year’s second quarter, Samsung also missed analysts’ profit expectations, partly as the result of sluggish demand for its Galaxy S9 smartphone. During that same quarter, the iPhone made up 8 of the top 10 spots in U.S. smartphone sales. Samsung will reveal a detailed breakdown of its earnings later this month. However, maybe for now it should consider pulling back on the anti-Apple stunts, right? If your own smartphones aren’t selling, is it really wise to prod the company that’s propping you up?